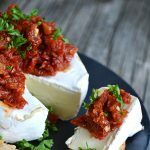 This Brie with Sun Dried Tomatoes is a quick and very delicious appetizer! A perfect holiday recipe. As we are all very very very aware, Christmas is almost here! How is it December 10th already? Time needs to slooooooooow down just a little so I can get my shopping done, my work done, my baking done and my holiday food planning done. Oh, and have some fun somewhere in there too. Are we all in the same boat, or are you ready? 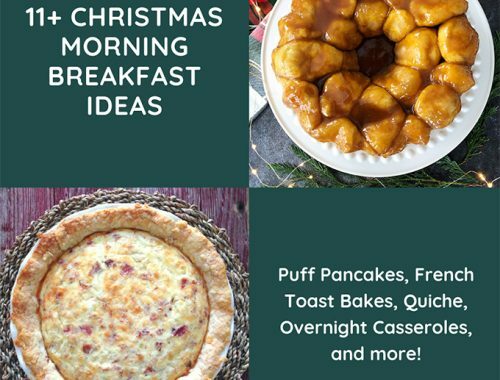 If you’re planning your treats, appetizers and meals, I have an idea for you! 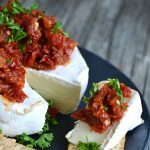 This Brie with Sun Dried Tomatoes from the Best of Bridge cookbooks is perfect for holiday entertaining. It’s one of those appetizers that is ready in less than 15 minutes, and it’s pretty much a crowd pleaser. The first time I tried this recipe I was a kid and I was at my Auntie Val’s home for the holidays. I still remember tasting it and wondering how I had never tasted something so delicious before! 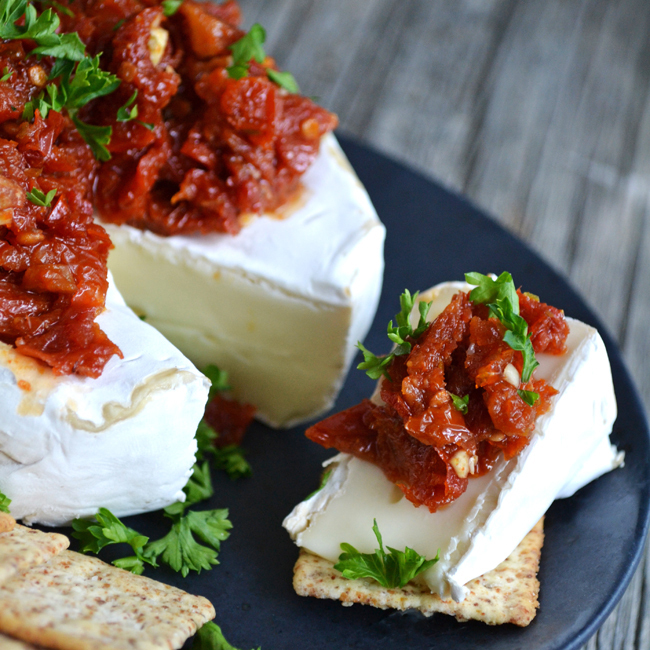 And since then this appetizer has made appearances at many family get togethers. It’s just so good and so simple to make. 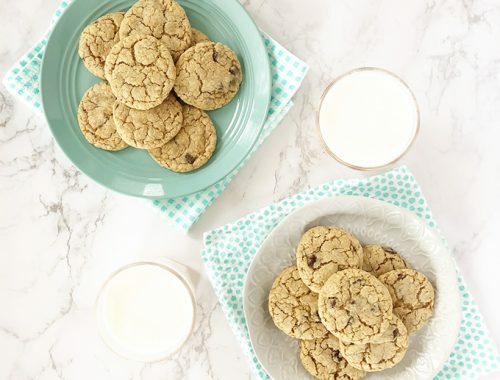 Most recipes from the Best of Bridge cookbooks are reliable, realistic and so good! If you read my blog regularly you likely know of my love for the Best of Bridge. Every woman in my family owns these books and they are still making appearances under the Christmas tree! They have a new book this year called The Complete Best of Bridge Cookbook Volume 3, and it is a compilation of all 350 recipes from their classics: That’s Trump and Aces. So if you have a foodie in your family, this book would make a great gift! A really great gift. Slightly drain the sundried tomatoes, then chop them finely. Mince the garlic and mix in with the tomatoes. 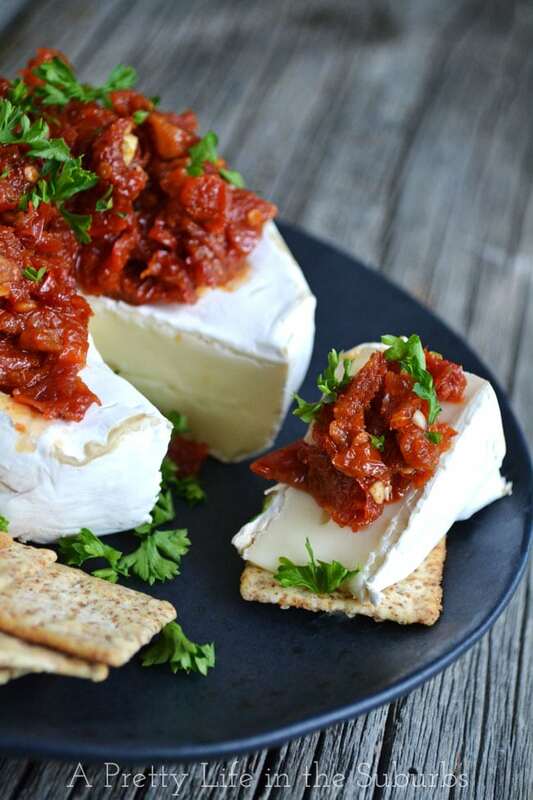 Pile the tomato mixture onto the Brie, then sprinkle with the chopped parsley. Heat in the oven for a few minutes, until the cheese is soft. 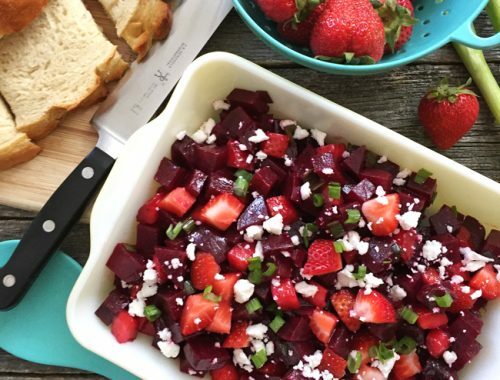 Serve with crackers or a sliced baguette. Recipe from The Complete Best of Bridge Cookbooks, Volume 3, www.robertrose.ca. 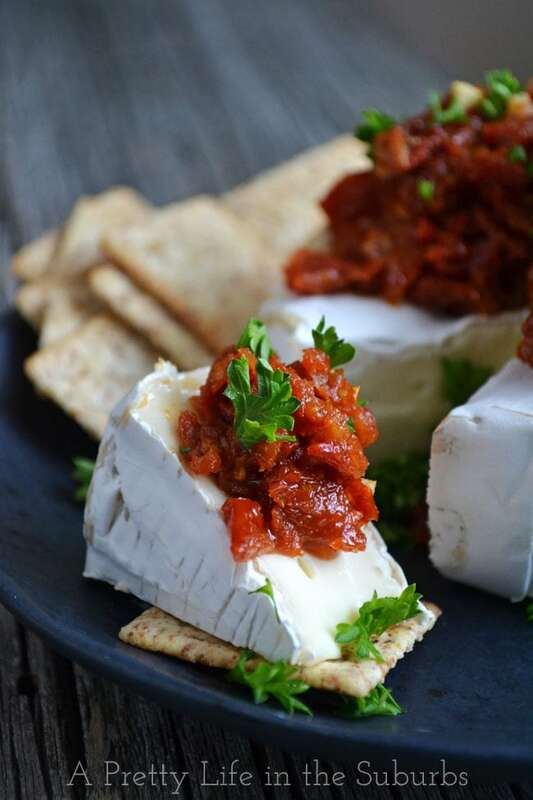 So invite some friends or family over and enjoy this appetizer with a glass of bubbly and enjoy the holiday season! Oh my, you’ve peaked my interest, for sure! We love this sort of thing for entertaining or, perhaps, just a treat on a Friday night after a long week! See you at the party on Thursday! 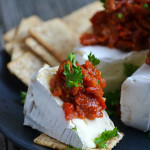 If you love Brie and sundried tomatoes, you’ll love this! It’s a fave in our family for sure! Thanks Virginia! It really is SO good!